Oliver Contreras/Getty; Greg Baker/Getty; Shayanne Gal/Business InsiderUS President Donald Trump and Chinese President Xi Jinping. Chinese officials are in Washington, DC, for negations with the Trump administration concerning the countries’ trade war. The two sides are not expected to come to a solid agreement over the next two days, but the talks are a concrete step toward alleviating the trade tensions. US President Donald Trump appears to be committed to the trade war with China for the long haul, so it is unclear how much progress could be made. While the China fight continues, there are promising signs of easing in the US’s trade battles with Canada, Mexico, and the European Union. Chinese officials are in Washington, DC, on Wednesday in an attempt to start to resolve the growing trade war between China and the US. The Chinese officials, led by Vice Commerce Minister Wang Shouwen, are set to meet with US Treasury Undersecretary David Malpass over the next two days. 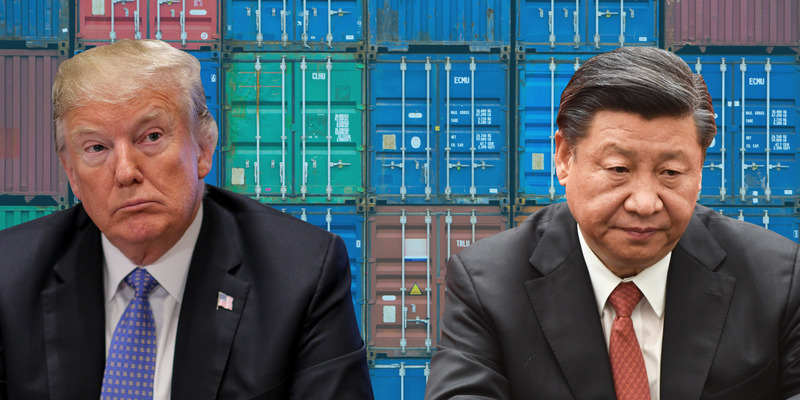 The goal: reach a deal that could lift the series of tariffs launched by US President Donald Trump and reciprocated by the Chinese government. The US is expected to press China to reform its economic practices, such as addressing allegations of theft of US intellectual property, while reducing the trade imbalance between the two countries. China, on the other hand, will attempt to get Trump to back off tariffs without having to change much about the way it conducts economic policy. The immediate purpose of the talks appears to be paving the way for more, possibly between Trump and Chinese President Xi Jinping, without an agreement this week. Expectations for the meetings are low, since they are taking place between lower-level officials and since the two sides remain far apart on the issues at hand. “We do not expect this round of discussion to materially lower tensions between the two countries or sway President Trump from increased aggression towards China,” Lewis Alexander, the chief US economist at Nomura, wrote in a note to clients. The talks are the first since June and represent the first concrete step toward ending the trade war since both countries implemented tariffs. Meanwhile, however, the Trump administration is making moves that could kick the trade war into high gear. The US is set to impose a 25% tariff on another $US16 billion worth of Chinese goods on Friday, bringing the total worth of goods subject to tariffs up to $US53 billion (including tariffs on steel and aluminium). More tariffs are also on the horizon. The US trade representative is moving forward with another set on $US200 billion worth of Chinese goods. Hearings about the items on the list that could be subject to tariffs are ongoing. If those tariffs are imposed, more than 50% of all goods coming into the US from China will be subject to tariffs. As one part of the Trump administration tries to end the trade war with China, another part is increasing the pressure. There is no sign that Trump is ready to back off the trade war. Jonathan Swan and Mike Allen of the news website Axios reported Tuesday that Trump had made clear to administration officials and members of Congress that the trade battle with China is a long-term project. “The president is all in, 100%, on China,” an administration official told Axios. And in an interview with Reuters on Monday, Trump said there was “no timeframe” for ending the trade war. While the talks and trade war with China move forward, the Trump administration is dialling back the trade fights on other fronts. A handshake agreement last month between Trump and Jean-Claude Juncker, the president of the European Commission, appears to have put a pause on Trump’s proposed tariffs on imported cars and auto parts. And Politico reported last week that the US and Mexico had reached a preliminary breakthrough in negotiations on the North American Free Trade Agreement that could ease tensions with the US’s southern neighbour. But neither détente guarantees that front in the trade war is neutralized. Trump again brought up the possibility of the auto tariffs during a rally in West Virginia on Tuesday. “We are going to put a tax of 25% on every car that comes in from the European Union,” Trump said. Progress on the NAFTA front could also fall apart, since Canada, the agreement’s third member, has not been involved in recent talks. Additionally, Trump’s steel and aluminium tariffs remain in place, along with other countries’ retaliatory tariffs. And World Trade Organisation complaints against the US are ongoing. It means the trade fights are far from over.